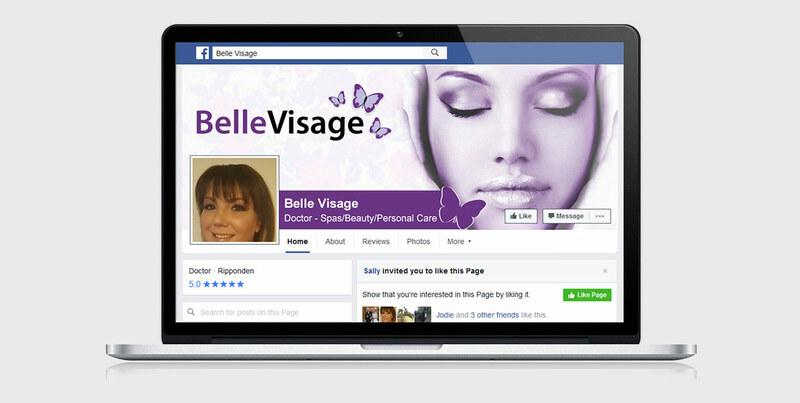 Working with Belle Visage provided the opportunity to develop a simple existing logo and help expand it into an exciting, friendly brand. Aimed at a wide audience, the logo development, colour scheme and website would all need to be easily read and recognisable by all. 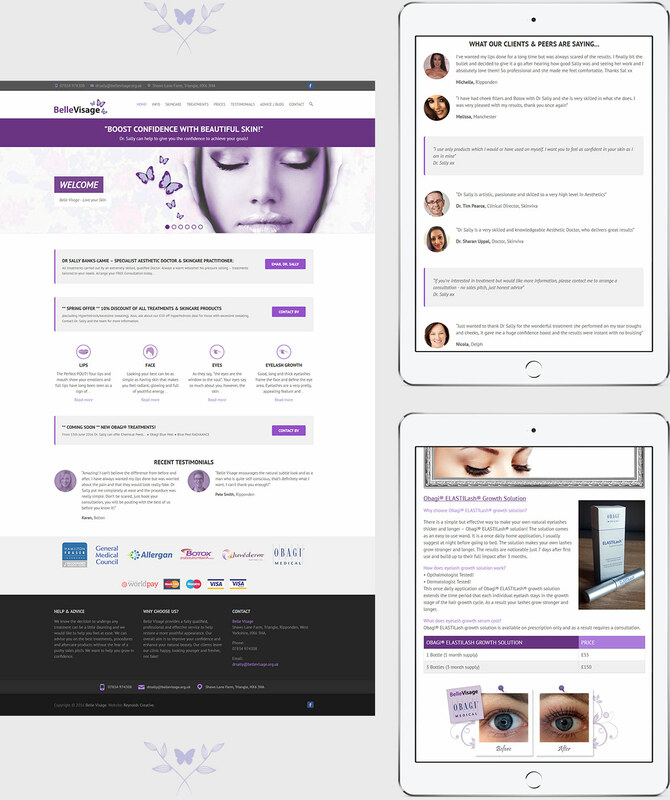 The website features treatment information, promotional offers, client testimonials and pricing in order to back up a regular presence on social media.